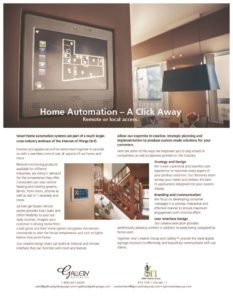 Smart home automation systems are part of a much larger, cross industry embrace of the Internet of Things (IoT). Devices and appliances will be networked together to provide us with a seamless control over all aspects of our home and more. Remote monitoring products available for different industries, are rising in demand for the convenience they offer. 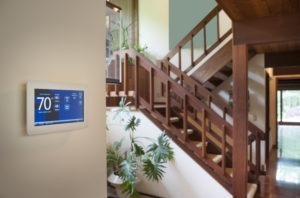 Consumers can now control heating and cooling systems, blinds, front doors, phones as well as dial 911 remotely and more. As lives get busier remote access provides basic tasks and offers fl exibility to your our daily routines. Imagine your customer is driving home from a ball game and their home system recognizes the remote commands to alter the house temperature and turn on lights before they arrive home. Our creative design team can build an internal and remote interface that can function with most any feature. Allow our expertise in creative, strategic planning and implementation to produce custom made solutions for your customers. We create a personal and seamless user experience to maximize every aspect of your product solutions. Our discovery team surveys your needs and delivers the best fit applications designed into your custom display.  Our creative execution provides aesthetically pleasing content in addition to easily being navigated by home users.